Buying household appliances requires prudence to choose the right appliance from the variety of options that are generally available in the market. The budget in hand, the features of the product, the brands etc are few of the considerations that are made to choose the right products. Many of the home appliances have the pretensions of being high-cost products and are refrained from buying by a budget conscious consumer.However, if due research is carried there would be certain models which are cost effective as well as cater to the needs. Vacuum cleaners are one of such appliances which are generally thought to be a high-end product. 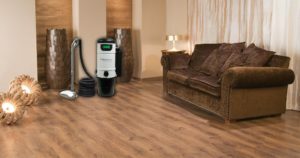 However by doing some research one would be able to find a host of vacuum cleaners that would meet up to the requirements as well as very cost effective. There are a host of cleaners which provide the best vacuum under 200$. To save lots of your valuable time, we’ve added here a quick comparison chart. 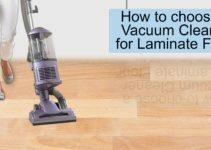 Let’s talk a little about our listed 5 vacuum cleaners under 200$ to give you a quick idea. 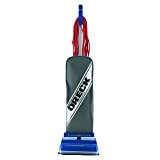 The commercial upright vacuum cleaner from Oreck is easy to use product used for commercial cleaning. The vacuum cleaner has been receiving positive reviews as part of Oreck commercial vacuum reviews. It is a lightweight vacuum cleaner which can be handled easily to clean things like cupboards, corners of the room, under desks of the furniture, baseboards etc. The coverage of 12’ wide area enables easy cleaning within less time. The cleaner can be used on multiple surfaces like carpet, tiles, laminate, wood etc. The clean comes with a Microsweep feature, this features helps to easily shift cleaning from one surface to another. Vacuum cleaner with upright design and is lightweight. The cleaner is corded and bagged. 12-inch wide cleaning path for easy and quick cleaning. Suited for cleaning carpets than the canister model vacuum cleaners. Easy to use with features in the hand handle which consist of an on-off switch. Automatic adjustment when moved between carpets and hard surfaces which do not require any manual change of the settings. The brush roll is powerful, high speed and balanced. The brushes have a double helix feature with a rotation speed of 6500 RPM. 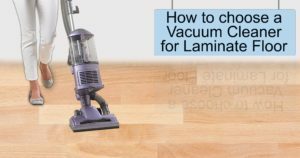 This allows the movement of debris towards the vacuum for cleaning. The H x W x D dimensions of the vacuum cleaner are 6 x 13 x 35 inches respectively. The other additions to the vacuum cleaner include a filtration vacuum bag, a belt for replacement and an air scent tab. Helping Hand handle which is recommended by Arthritis foundation for ease of use. 12-inch wide cleaning path for quicker cleaning. Automatic floor adjustment for easy shifting between the surfaces without manual adjustment. The cord restricts the movement of the cleaner for longer distance. The bags needed to frequently change. The shark navigator vacuum cleaner is a two in one cleaner with upright as well as lift away functionality. The lift away functionality allows lifting the canister away from the press of a button and cleaning the surfaces which are hard to reach. The vacuum cleaner has the ability to pick both the large debris as well as fine dust from the floor effectively. The shark navigator professional lift away reviews have been offering a favorable review of the product features. The swivel steering allows for easy handling and maneuvering of the cleaner around the furniture for effective cleaning. 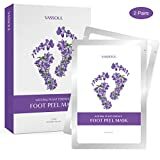 This is one of the most sought-after among the best vacuum under 200 $ for its ease of use. Two in one Vacuum cleaner with upright and lift away functionality. A simple press of a button enables the canister to be lifted and used for easier cleaning in less accessible areas. Dust away hard floor attachment with 2 washable microfiber pads. This allows for efficient picking up of the large debris as well as fine dust from the floor surfaces. Swivel steering which enhances the maneuverability of the vacuum cleaner around the furniture. Its aided by “Anti Allergen Complete Seal “technology. This helps to trap most of the dust particles within the cleaner itself. The dust cap of the vacuum has a large capacity. The Vacuum cleaner is lightweight and weighs around 13.7 pounds. The Brushroll shutoff button enables to shift across different floor types while cleaning with very minimal effort. Two in one feature of upright and lift away. Cleaning of all type of stuff ranging from large debris to fine dust. Anti –Allergen Complete Seal Technology with the HEPA filter helps to trap the dust particles and any allergens within the vacuum cleaner itself. 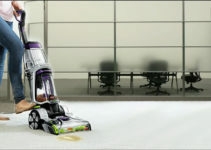 Swivel steering feature allows the cleaner to be easily handled. Has larger dimensions and cannot be stored easily. Manual switching when the surface is changed between carpets and hard floor. This vacuum cleaner from Hoover is easy and light to use and offers thorough cleaning around the home. All the flooring types can easily be cleaned using this vacuum cleaner through its 5 position carpet height adjustment feature. Although the products appear to be large, the handle of it can be easily folded allowing more viable storage even in smaller spaces. An attractive feature which forms part is its Cord rewind feature which saves you from winding the cable as a gentle tap would activate the rewinding mechanism in the vacuum cleaner. The hoover wind tunnel pet rewind reviews have been positive from the customers. The weight of vacuum cleaner less than 18 pounds. 5 position carpet height adjustment which helps to clean nearly all the flooring surfaces. The handle can be folded making it more feasible to store the vacuum cleaner in smaller spaces. Cord rewind technology which enables rewinding of the cord after use, thereby saving the manual effort of winding the cord. Special cleaning features like the air powered pet handled tool which helps to easily dispose of air from the floors, upholstery belonging to the pets, furniture etc. An additional 12-inch extension wand and a Crevice which would make the cleaning in tight spots much easier. Wind Tunnel technology helps to prevent any loss of suction by trapping and tunneling the dirt into dirt cup without much of the scatter. 5 position carpet height adjustment for cleaning nearly all the surfaces. Rewind technology which allows rewinding of the cord by simple push of a button. Air powered pet handle which allows cleaning up of the pet hair. Extension want and service for cleaning in tight spots. No handheld feature which restricts the scope of cleaning above the floor surface. Comes with a cord which does not allow movement beyond a point. A powerful and lightweight vacuum cleaner from Shark, it is one of the best vacuum under 200 $. The Never Loses Suction technology enables the vacuum cleaner not to lose the suction thereby making it last long without any replacement of the parts. It is designed in such a way that it is easy to maneuver. The weight is less when compared to the overall size of the product. An “Easy Access Extended Reach Wand” and a 5.5-inch crevice help in reaching the not easily accessible places for thorough cleaning. Customers who have provided the Hoover wind tunnel pet rewind reviews have been highlighting this cleaner to be well suited to deal with houses with pets. Never Loses Suction technology makes the vacuum cleaner to not lose the suction. 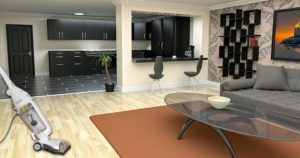 The design helps in easily maneuvering the vacuum cleaner amidst the furniture and around the space easily. 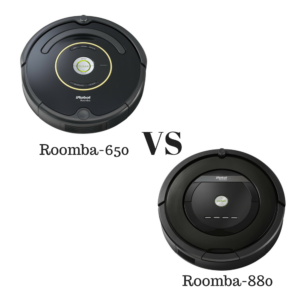 It is comparably lightweight among the vacuum cleaners of its dimensions and weighs only 15 pounds. The engine is powerful and efficient. The Vacuum cleaner comes with premium Pet Hair cleaning tools and a Pet Power brush which allows cleaning the hair of the pets from any of the surfaces likes furniture, floor, upholstery etc. The Easy Access Extended Reach Wand and a 5.5-inch crevice are provided along with the vacuum cleaner which helps in reaching out to places and corners which are not easily accessible. The Bottom Empty Dust cup has a large capacity and can collect dust in larger quantities before being required to empty it. Latest technology for long-lasting durability. Premium Pet hair cleaning tools and Pet Power brush come attached. Easy Access Extended Reach Wand and 5.5-inch crevice for easier accessibility. Large Bottom empty Duct cup with larger capacity. Comparatively larger size and not easy to store. Does not have Carpet to bare floor cleaning shutoff option. This vacuum cleaner from Shark is one of the ultra-lightweight cleaners available and weighs less than 8 pounds. This makes it very easy to move it around without any hassles, both when in use and not in use. 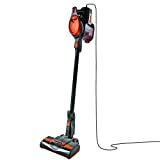 There is a reason for the shark rocket ultra-light upright vacuum reviews to be positive; it is because of the host of features that are on offer. Dust away hard floor attachment helps clean dust and debris of different sizes. It further has tools as part of the home and Car Detail kit which help to clean the smallest of the spaces. Many other such features make it an affordable and high utility vacuum cleaner. It is an ultra lightweight vacuum cleaner and weighs less than 8 pounds. The Home and Car Detail Kit consists of tools which help to reach out to and clean the most inaccessible of the spaces. The upright vacuum cleaner can turn in to a hand on vacuum cleaner providing an end to end floor to ceiling cleaning. Storage is a prime concern for most of the vacuum cleaners, this is addressed with the dual storage options which provide an option to either fix the hand vac to the bottom of the want or place it securely over a wall mount. This storage option is unique among the best vacuum under 200$ that are available in the market. 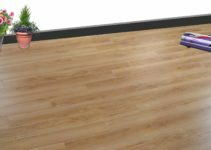 The Dust away Hard floor attachment along with the washable microfiber pad enable it to clean up fine dust as well as large debris from the floor very efficiently. Ultra lightweight and dual storage options. Can be easily converted to the hand on vacuum cleaner for all-round cleaning. Does not automatically convert settings when there is a change in surface. Does not have LED lights on the Vac and nozzle. Vacuum cleaners generally carry a perception of being expensive and an investment that you can do away with. A lower price would generally mean that the product might be of lower quality. However, with some right research in the market, it is easy to find the best vacuum under 200 $. There are few aspects that you need to be aware of while making the choice and you are on the way of picking up a vacuum cleaner that is cost effective and good for utility. 1.Identify the needs: The most important step before thinking of buying a vacuum cleaner is to identify the purpose. Determine what sort of cleaning you would be doing with it. There are many varieties of vacuum cleaners which offer cleaning of various types – floor, wall, carpet etc. Features like cord-cordless, bagged –bagless, hand held etc are few of the choices that you need to make depending on their utility. Many of the vacuum cleaners come with additional attachments that can be used for specialized cleaning. Determining the purpose would help to cut through the clutter and shortlist of options which would fit the purpose. 3.Dimensions: The dimensions of the vacuum cleaner are not something most of the buyers lay much emphasis on, but would come into effect once you start using it or storing it. Advancements in technology and design have enabled the vacuum cleaners to become more sleek and easier to be carried around. Technology does have a cost and such models are generally on the higher end of the pricing. Compromising on the size and buying a bigger vacuum cleaner with a lesser price might also not be cost effective due to the space it would occupy and all the other challenges that come with large size. A bit of research and you can find models that provide a tradeoff between size and price. 4.Type of Investment: Buying and using a product entails maintenance. Many a time when the discussion is around buying a product it is mostly about the price one has to pay for buying it. But it is also important to know the estimate of the maintenance costs that are involved in the future. Determine if you are ready to pay some additional dollars to cut the maintenance costs or willing to incur cost on regular basis by saving upon the initial investment. The Vacuum cleaners that were enlisted above are the few of the best vacuum under 200 $ and would be able to fulfill the basic purpose of buying a vacuum cleaning with few of them offering additional features. Most of the vacuum cleaners at this price point are a good tradeoff between ensuring high efficient cleaning and excluding few of the more advanced features in vacuum cleaning. Even under 200 $, most of the vacuum cleaners come with additional features leaving the customer with a problem of choice. It is advised to clearly go through the features offered and compare with the requirement to choose the Vacuum cleaner that best fits.